Everyone in business knows you don’t always get feedback from a satisfied customer. Many times they are just too busy. But when one of your clients refers to your product as “magic,” well, you just gotta listen. That’s what happened at Team X Real Estate in Los Angeles. Broker Emmanuel Xuereb wrote in his blog that he has added the SpatialMatch IDX and lifestyle search engine to his website. Now, we know LA is a hot market for real estate and with any hot market comes competition. 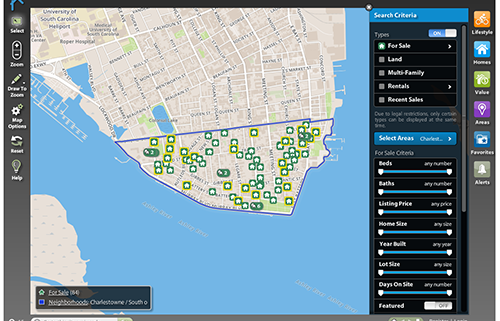 Team X is obviously going about the market in the right way by adding this enormous database of home listings combined with billions of bits of real estate data on local businesses, schools, community facilities and other amenities. 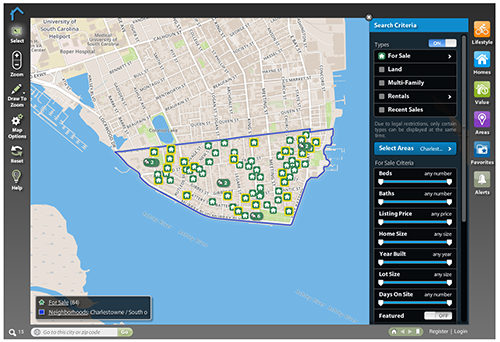 All this real estate data is crunched together into a user-friendly visual display on a map. So in essence, you can not only show a buyer information about a home, but at the same time you can show them places in the neighborhood that appeal to their lifestyle preferences. And in LA, we imagine customers are very particular about where they live. “This is the same advancement as when the iPhone came out, changing phones forever,” Emmanuel said. Comparing SpatialMatch to the iPhone? Sure, we’ll take a compliment like that any day of the week. Team X recently redesigned their website, and to add to the pizzazz of introducing a new site, they smartly added the new SpatialMatch IDX/lifestyle search technology. Companies change sites all the time, but consumers want to know what’s in it for them. So adding a new feature is critical to any redesign. The Team X site is sharp, with some incredible images of properties that can be expanded to fill the browser. In addition, they have tabs for “Culture” and “Surf Reports,” to keep them in tune with their local community. Like Apple computers, Team X is anticipating the needs of their customers before most people even think about it. You can check out their website here – www.teamXrealestate.com. Here’s the full blog that Emmanuel wrote.